A couple months back, Samsung introduced the Samsung PRO Endurance microSDHC/microSDXC memory cards. This new series was designed for use in devices that have continuous video recording such as surveillance and security cameras, body cameras and dash cams. 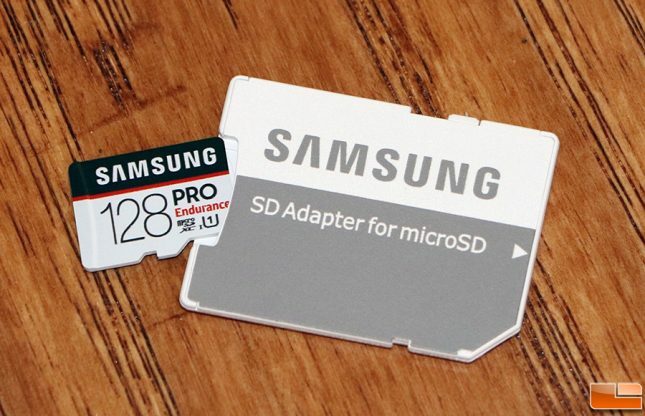 The Samsung PRO Endurance microSD cards are available in 32GB, 64GB and 128GB capacities and have a 1080P endurance rating of 17,520 hours, 26,280 hours and 43,800 hours, respectively. If you do some quick math on those hours it comes out to being 2-years, 3-years and 5-years, which also happens to be the warranty length on each of these respective cards. 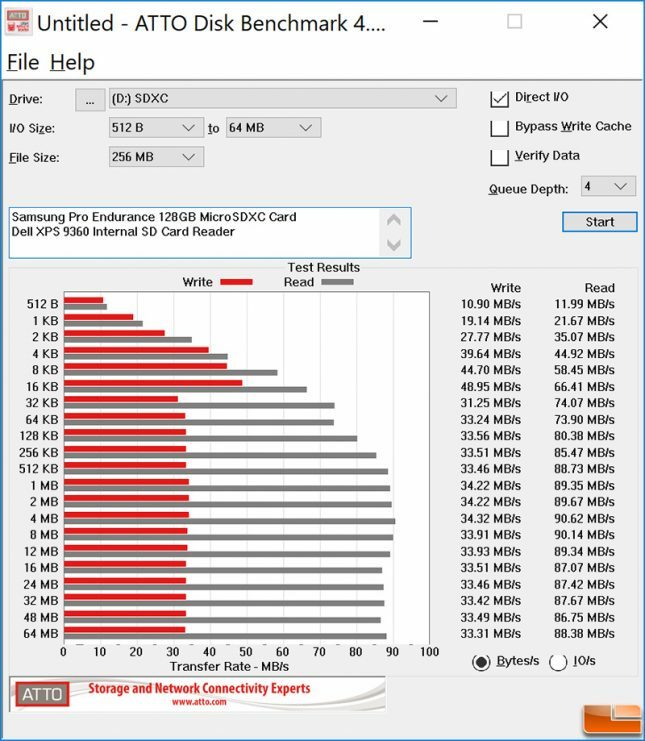 These cards aren’t speed-focused as it’s all about having the best endurance rating possible, but they are all still UHS-I speed rated with sequential read speeds of up to 100 MB/s and sequential write speeds of up to 30 MB/s. UHS Speed Class 1 memory cards support Full HD and 4K Ultra HD video capture, but Class 1 cards are best suited for 1080p video recording. We got our hands on the Samsung’s 128GB Pro Endurance microSDXC UHS-1 card and that is the model that we’ll be taking a closer look at today. All of the Samsung PRO Endurance cards feature Samsung’s 4-Proof protection, which means they’re highly resistant to water, temperature, magnetic and x-rays. 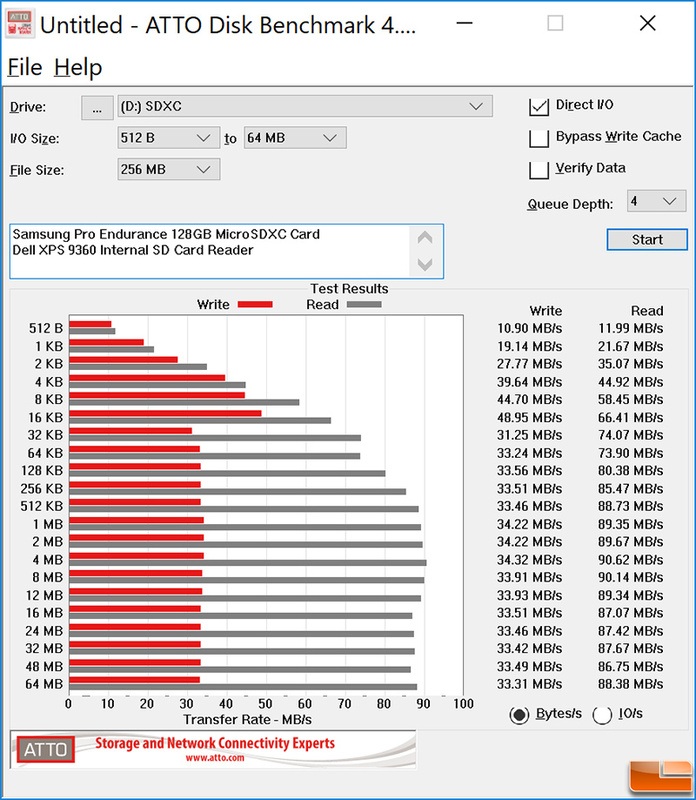 We speed tested the Samsung Pro Endurance 128GB MicroSDXC card in its included SD Adapter for microSD cards on our Dell XPS 13 9360 laptops internal MicroSD card reader. We were looking to hit the cards rated speeds of 100 MB/s read and 30 MB/s write. We ended up reaching topping out at 90.62 MB/s read and 48.95 MB/s write speeds. Quick read/write tests are fun to do, but how does the do for long sustained writes. 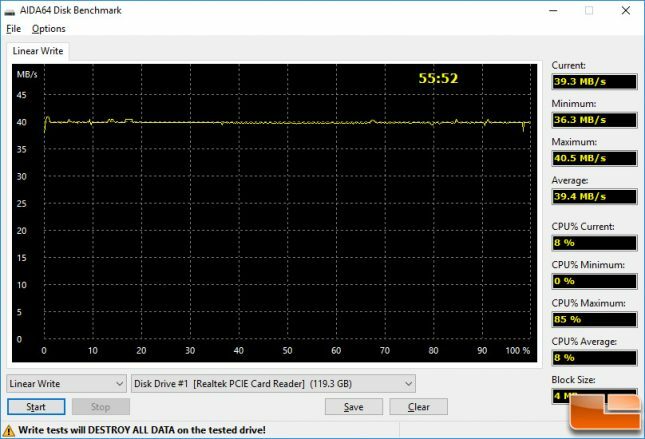 We turned to AIDA64 Disk Benchmark to test linear write speeds and filled our entire 128GB drive with data. It took 55.52 minutes to fill the card with an average speed of 39.4 MB/s! 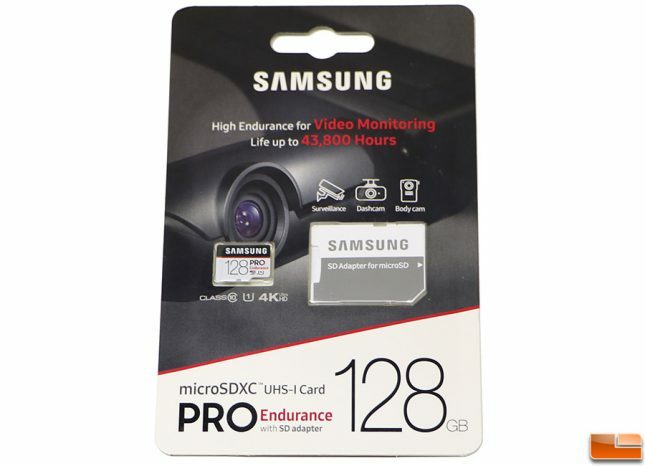 The Samsung Pro Endurance 128GB MicroSDXC memory card has impressive write speeds that are well over the cards rated sequential write speed of just 30 MB/s. The Samsung Endurance PRO line of cards were were designed for those constantly recording Full HD video. 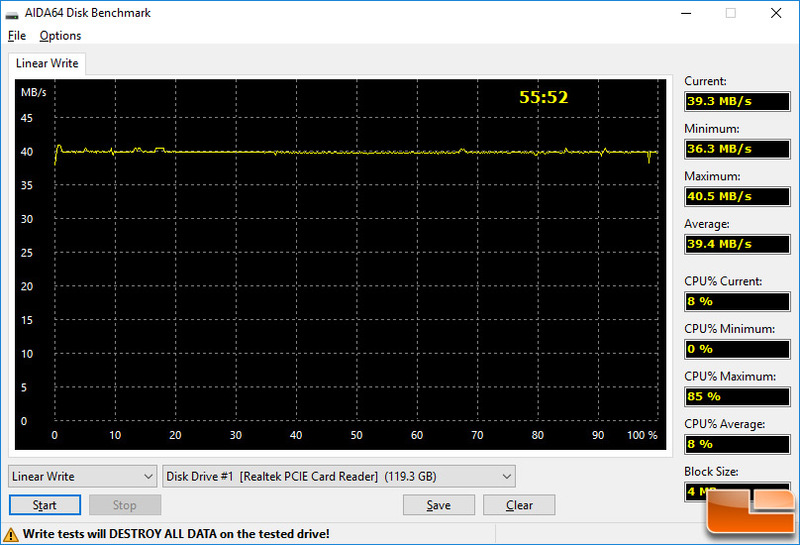 The write performance on our 128GB test card was excellent at over 36 MB/s on average for our sustained write test. With a long 5-year warranty and solid sequential read and write speeds it makes this an easy card to recommend for those that own security cameras, body cams, dash cams or any similar recording device.